Lynne M. Thomas, a University of Illinois alumna, has been selected as the new head of the U. of I. Rare Book and Manuscript Library. 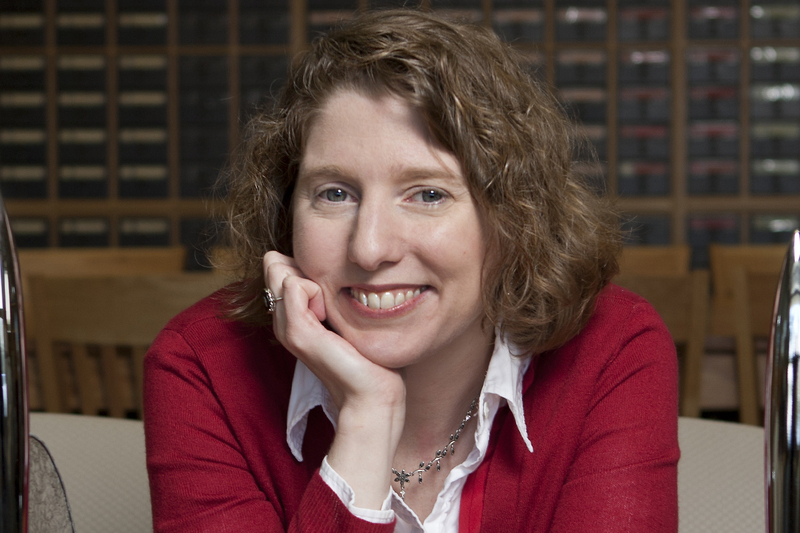 CHAMPAIGN, Ill. — Exactly 20 years after starting work as a graduate assistant in the Rare Book and Manuscript Library, Lynne M. Thomas is returning as the new head of the library. Thomas, who earned her master’s degree in library and information sciences at the University of Illinois in 1999, has been the curator of rare books and special collections at Northern Illinois University since 2004 and the head of distinctive collections there since 2014. She’ll begin her appointment at the library and assume the Juanita J. and Robert E. Simpson Rare Book and Manuscript Library Professorship on Sept. 1. As a graduate assistant, she worked on the Carl Sandburg papers and, with an undergraduate degree in French literature and comparative literature, she was thrilled to see the collection of correspondence of Marcel Proust. She is excited about the library’s use of its Gwendolyn Brooks Papers to celebrate the 100th anniversary of Brooks’ birth. At Northern Illinois University, Thomas was responsible for popular culture special collections, including the literary papers of more than 75 science fiction and fantasy authors, the official archives of the Science Fiction & Fantasy Writers of America and one of the country’s largest collections of dime novels. Thomas is the co-editor and publisher of Uncanny Magazine with her husband Michael Damian Thomas, and she is the former editor of Apex Magazine. Thomas’ new job at the Rare Book and Manuscript Library will be her first full-time administrative role. “This is an opportunity for me to step into a role where I’m responsible for the vision and mission of the Rare Book and Manuscript Library, with massive amounts of input from the people I’m supervising. I’m confident, based on my previous experiences, this is a role I’m ready for and a series of activities I’d like to do,” she said. Thomas succeeds Valerie Hotchkiss, who left in July 2016 to become the university librarian at Vanderbilt University. Travis McDade, the curator of law rare books at the U. of I. law library, has been serving as the interim director of the Rare Book and Manuscript Library. In addition to a bachelor’s degree from Smith College and her master’s degree from Illinois, Thomas has a master’s degree in English and American literature from Northern Illinois University.